Over the last month, a caravan traveling from Honduras and Nicaragua has been making its way north, seeking refuge in the United States. Some are seeking asylum from violence, some are fleeing the harsh economic conditions, but all appear to be unified in finding a better life in the United States. This is not the first time a caravan of immigrants has fled Central or South America for the United States border. 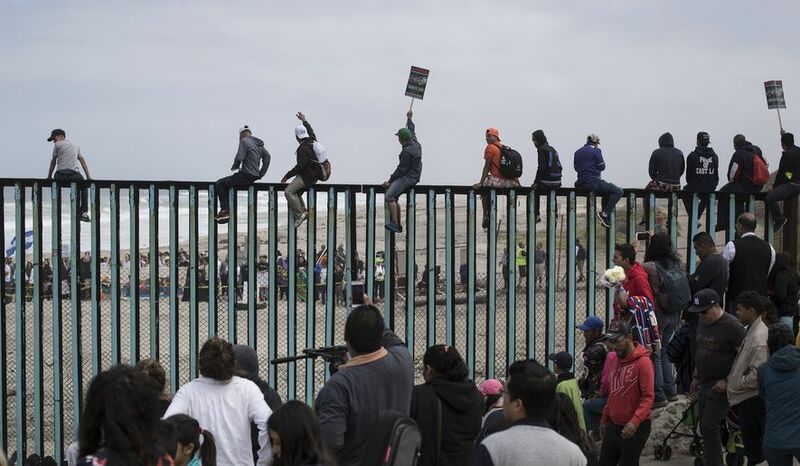 But this particular caravan became especially newsworthy when President Trump emphatically declared on numerous occasions that the caravan was an “assault on our country” and an “invasion.”While some with ill intentions could have populated the original 7,000-person caravan, it has been largely documented that the caravan, which is now sitting at an estimated 3,500 people, largely consists of women and children. Why do I detail all of this? Simply put, a large part of the President’s supporters are evangelical Christians. In the 2016 election that saw Donald Trump elected as President, over 80% of white evangelicals supported then candidate Trump, and the number has basically remained the same, sitting at about 71%. And in the wake of his unfounded accusations against the immigrant caravan, this 71% of evangelicals are either maintaining their support for the President, or are remaining silent. For me this is absolutely troubling as we zero in on the issue of immigration in the United States. The Bible is replete with instructions on how to treat immigrants, refugees, and other displaced people groups. While the politics concerning the fate of these people in our country is difficult and contentious, the concern for evangelicals, namely those who hold to a high view of Scripture and are verbally committed to Jesus as Lord, seems to be anything but “biblical.” Instead, they appear to be falling into the nationalistic trap of country first. This leads us back to our focus on the role reconciliation and thegospel plays in the life of the church. Last week we concluded that our faith in Christ as Lord is better viewed as our allegiance to Christ as Lord in opposition to other supposed “lords.” Furthermore, this exchange in allegiance from the state to the kingdom is only possible since “we have now received reconciliation” from Jesus (Rom. 5:11) and the subsequent “ministry” and “message” of reconciliation (2 Cor. 5:18, 19). This means that Christ is everything for us! Our hiddenness in Christ must lead to a reorientation of our worldview; it means to have the same values and vision for the world as Christ. This begins with an ideological shift from nationalistic policy and partisan politics toward a value for human life in general. While much could be examined throughout the Old and New Testaments that proves a high value for all people – especially immigrants and refugees – a few passages in the New Testament stand out. First, Joseph and Mary – Jesus’ parents – sought asylum in Egypt after they learned of Herod’s desire to kill every young male child two years and under in the town of Bethlehem (Matt. 2:13-18). 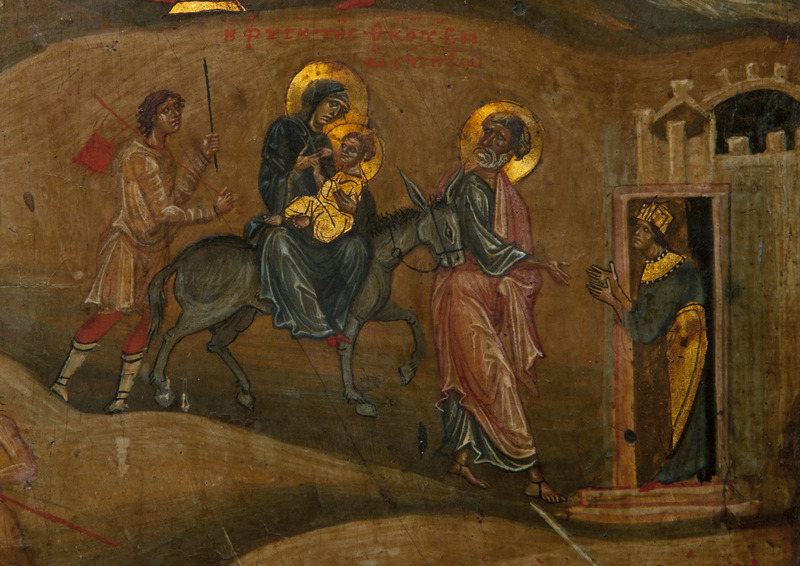 It would have been insanely dangerous for a small family of three to travel alone to Egypt from Bethlehem. The harsh elements and wandering bandits posed a very real threat to travelers. There is little doubt that they traveled in a decent-sized caravan to protect them from real harm. 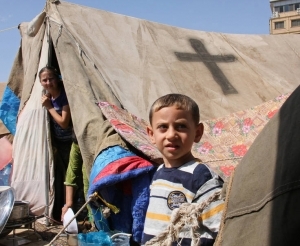 It is striking how similar Jesus’ experience as a child refugee is to those who are also diligently seeking asylum from tyranny, oppression, and economic turmoil. Second, Jesus shows value for the undervalued of society. While this does not speak on the issue of immigration directly, it does have similarities to how anyone who might be labeled as “the other” is to be treated, including immigrants and refugees. The only other people-group hated more than the Romans in first-century Israel was the Samaritans. They were viewed as a “half-breed” of sorts, practicing their own form of Judaism, but with a completely different temple, priesthood, and set of cultural practices, which was detested by Israel. To even speak with a Samaritan would have been culturally unacceptable, for they were a national enemy. But that is exactly what Jesus does. Multiple times. One popular example of this is Jesus’ correspondence with the Samaritan woman in John 4. This encounter was not by chance, but a deliberate part of Jesus’ mission. The author narrates in John 4:4, “He had to go through Samaria.” The verb “he had” is better translated “it is necessary.” Thus, “It was necessary he go through Samaria.” It was part of Jesus’ plan all along. This is nothing short of incredible since this story fits in between Jesus’ first two miracles that occur in Cana of Galilee. 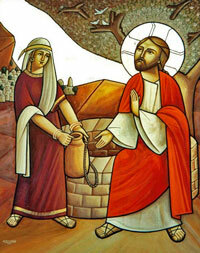 In the first miracle, Jesus turned the water into wine (John 2:1-12). Not only did he refill the jars with new wine, the wine was also of better quality. Jesus was bringing the kingdom in a new and fuller way. Similarly, after Jesus visits the Samaritans, he heals a Roman officials son without being present (John 4:43-54). 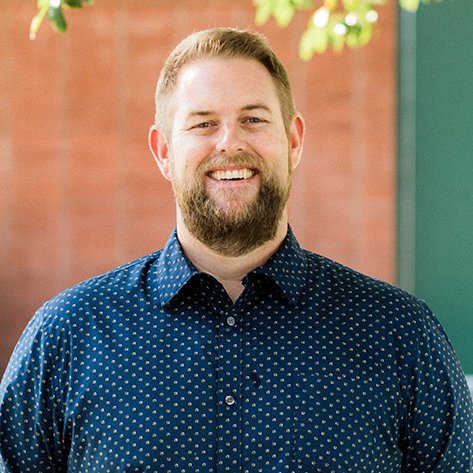 Conventional perceptions of God’s presence in the world is being replaced with a more robust in breaking of God’s people, and the Samaritans were the first ones to experience this radical new reality. This leads us back to the issue of reconciliation. In what way is the ministry of reconciliation relevant to our ethical approach to those who are outsiders to our country of origin? The clearest answer is found in 1 Peter. In 1:1, Peter identifies his audience as “exiles scattered throughout” and later in 2:11 again reminds them of their status as “foreigners and exiles [or strangers].” If we are “a royal priesthood, a holy nation, God’s special possession” as Peter affirms that we are earlier in 2:9, then by definition we do not have an earthly nation which we are to give ourselves over to. As citizens of another kingdom who are labeled as outsiders we can easily and naturally identify with other supposed outsiders. As an American Church, it is time to reclaim our identity as sojourners, foreigners, outsiders, and strangers. Change is always scary and typically unwelcome. But reconciliation by definition requires change. Embracing the immigrant and refugee is a clear indication that one has learned to embrace the gospel. 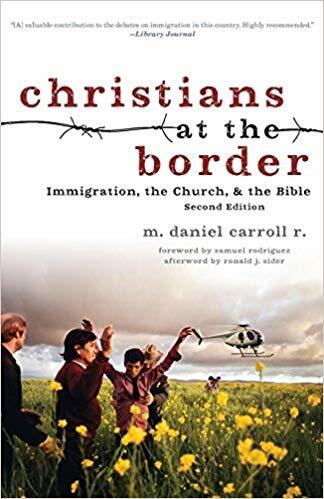 M. Daniel Carroll R. Christians at the border: Immigration, the church, and the Bible, 2d ed. (Grand Rapids: Brazos Press, 2013), 116. Carroll R., Christians at the border, 118.